Round Capacity At 90°: 13"
Machine Dimensions: 93" X 86" X 52"
Cast Iron Shuttle Features Automatic Multi-Indexing Up To 27” In A Single Stroke. Powered By Ball Screw And Stepper Motor. 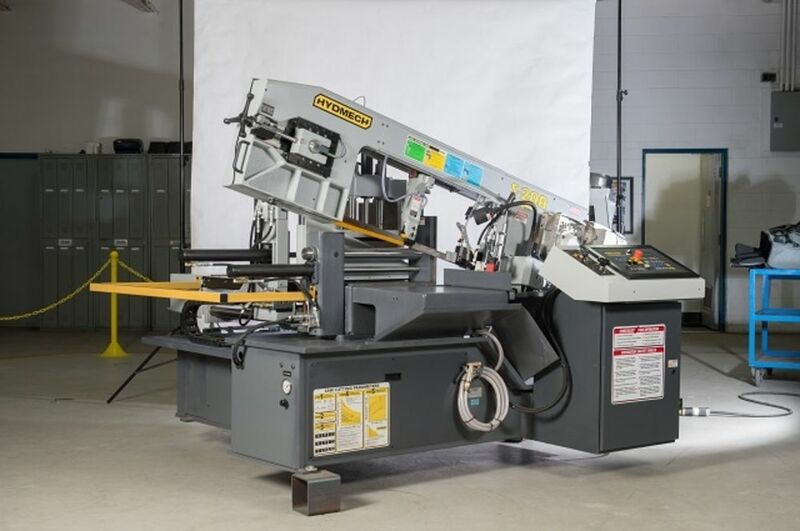 The S-20A, Automatic Scissor Style Band Saw Features A Swing Head Design And Provides Exceptional Miter Cutting Capability For Light To Medium Duty Applications. Featuring A 13″H x 18″W Capacity At 90°, 3 HP Motor, And 1″ Blade, The S-20A Is A Versatile, Automatic Scissor Style Band Saw Ideal For Use In Tight Working Spaces.